You may know her as the blonde-haired Cersei Lannister on ‘Game of Thrones’, but she also starred as the brunette-haired Sarah Connor in the ‘Terminator: The Sarah Connor Chronicles’ series. 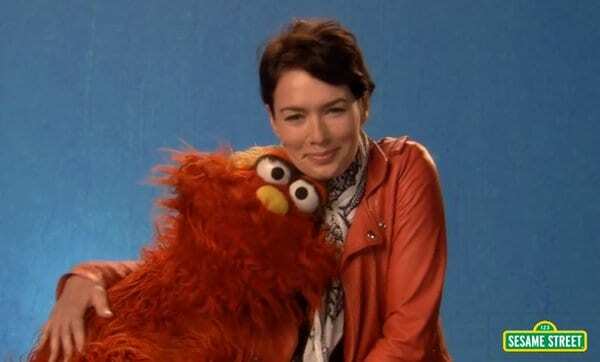 Yes, we’re referring to Lena Headey. 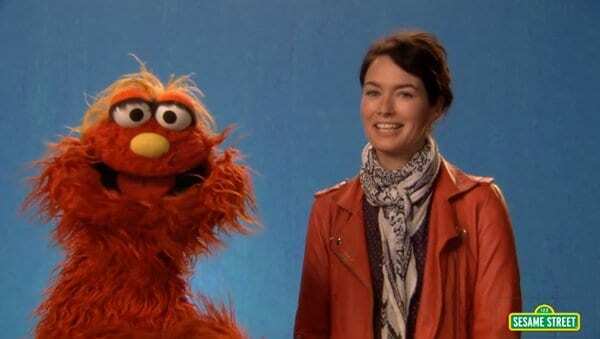 The British actress actually appeared on Sesame Street recently, to help her furry friend, Murray, “relax”. If you watched the episode, the interaction between Lena and Murray was actually quite adorable. But what really got our attention was the striking scarf she wore for her appearance. Below is a video of Lena and Murray discussing the word “relax”. Perhaps you can help us ID Lena’s neck warmer as well. Well, any ideas? Can you help us figure out where she scored that pretty black-and-white extra around her neck? 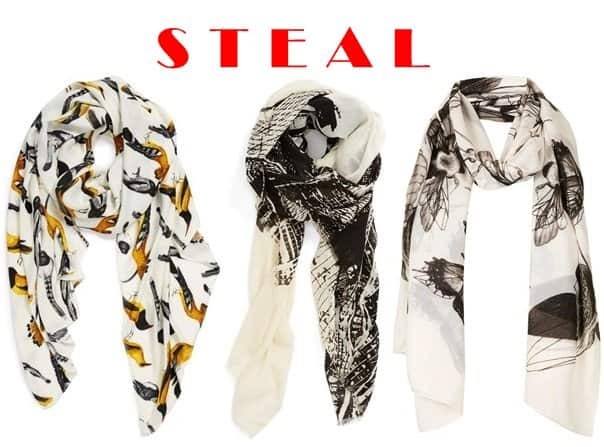 Are those skull prints on the scarf, or are we just imagining it? Is it an Alexander McQueen? However, because it’s in black and white, it is the kind of scarf that will give you a lot of mileage — most especially if you’re color shy. Trying to ID Lena’s Sesame Street scarf is like looking for a needle in a haystack at the moment, so we decided to find similar options that you can easily grab instead.